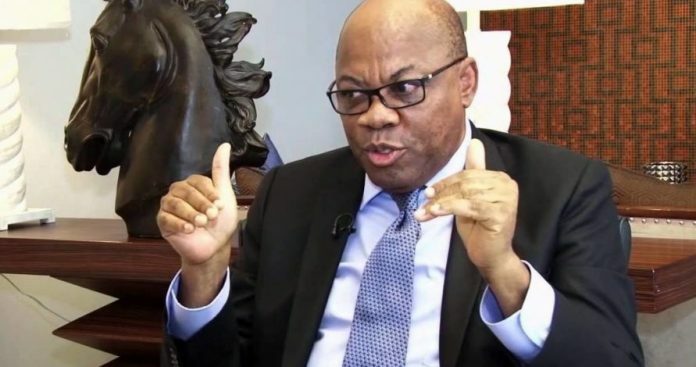 Constitutional lawyer, Dr. Olisa Agbakoba (SAN), has said that there is no way President Muhammadu Buhari can pretend that he is not aware of charges against the Chief Justice of the Nigeria (CJN), Justice Walter Onnoghen. The CJN is scheduled to appear at the Code of Conduct Tribunal (CCT) Monday over alleged six-count charge bordering on his failure to declare his assets. Agbakoba, while speaking on The Morning Show on THISDAY sister station, Arise News Monday, said that such pretence is tantamount to what former presidents of the United States of America were doing during the inglorious days when the Central Intelligence Agency (CIA) agents go about killing people around the world and they claim not to be aware. While advising the government to withdraw the “rubbish case,” Agbokoba said that the belief that the president does not know about the case is not tenable, adding that what the president is doing is what the CIA used to call “plausible deniability”, where the president of the US always deny knowledge of actions by the agency. He said that President Buhari is very much aware of the action against the CJN, hence he has not spoken about it. The foremost human rights advocate said that how the arraignment of the CJN was handled smack of political interference by the executive on an issue that should otherwise have been handled by the National Judicial Council (NJC), adding that what made this worse is the speed by which it was handled, as it was all done within three days. He said that the government shot itself in the foot by bringing the case in such a hurry, a situation which is responsible for the untidiness in its filing. He also opined that the move against Onnoghen may not be unconnected with the feeling in certain circles in government that the judiciary may have been anti-All Progressives Congress (APC) because of its rulings in recent times. Agbakoba, who said that he would be filing a case before the court on the issue, stressed that it is only the Senate of the Federal Republic of Nigeria that can deal with the case; and that what the executive arm of government has done is interferring in the activities of another arm of government which has equal jurisdiction. He insisted that the CJN like the president and the governor and their deputy also enjoys official immunity which ordinarily has been violated by the action of the federal government. He stressed that due process was not followed by the government in this case because the National Judicial Council (NJC) should have been approached first in dealing with the case or the Senate, adding that by bypassing the process, the government’s case cannot stand.